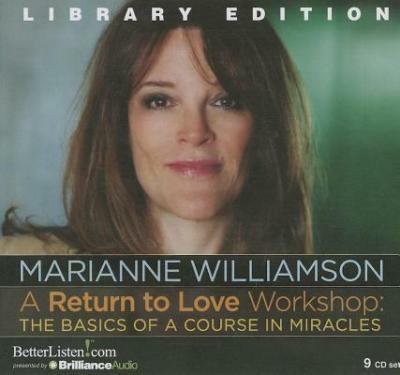 On July 1-3, 2011, Marianne Williamson taught a workshop on A Course in Miracles in Los Angeles, California. The topic of the weekend was how miracles -- shifts in thinking from fear to love -- make all the difference in how we live and how we feel. Learning to think differently -- to stand psychologically and emotionally on a different ground of being -- is the spiritual journey from anxiety to inner peace. This audio workshop deals with practical issues such as: How do we make the switch from fear to love? What are the practical keys? What makes a miracle happen? What makes forgiveness more than just a word, what does it offer us, and how do we do it? Where do our relationships fit in? Why are they often painful, and how can they be miraculous instead? In what way is our relationship to God the key to our success in the world? How do we find inner peace, and help create peace in the world around us?